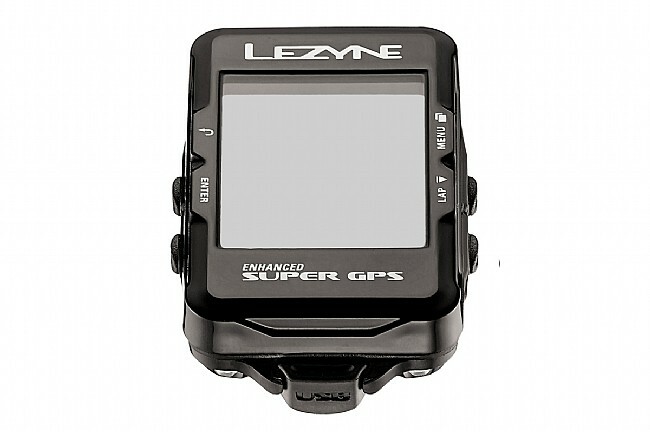 The Super GPS from Lezyne is a GPS/Glonass enabled cycling computer that offers some of the same features as headunits twice its price. 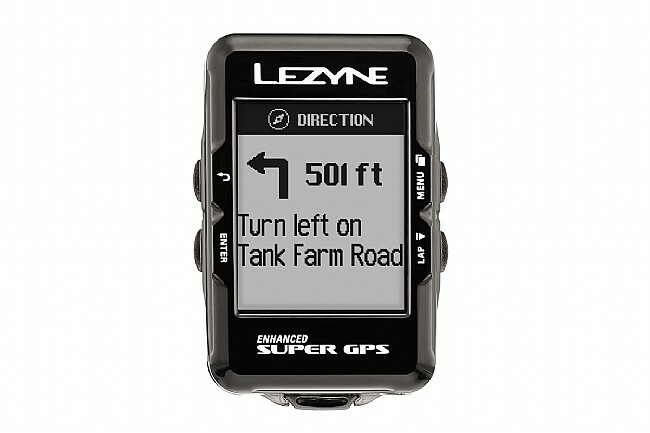 Bluetooth and ANT+ connectivity, local sensors to boost the precision of the satellite networks, and a brand new smartphone app propel the Super GPS to the short list of cycling computers to keep an eye on. 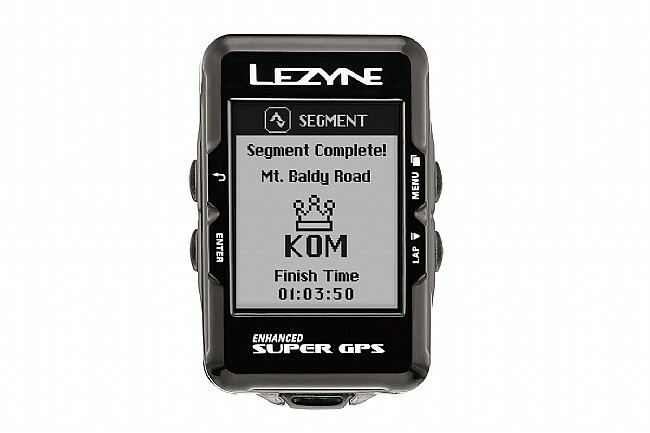 When you connect the Super GPS to Lezyne’s iOS or Android Ally App, load up a pre-programmed route, create your own or just enable the bread crumb feature and enjoy unrestricted riding with an easy way home. Throw away the cue sheet, enable turn-by-turn navigation and enjoy the scenery without having to be on the lookout for the next turn. The lithium polymer battery offers 24 hours of riding time between charges meaning the Super GPS will spend more time on the handlebars than on the charger, keeping you riding all day. A weather-resistant body stands up to all-season weather and abuse. At the core of this computer is a blend of three forms of measurement delivering precise, reliable tracking. The GPS and Glonass networks track the riders location, aided by the barometer and accelerometer. 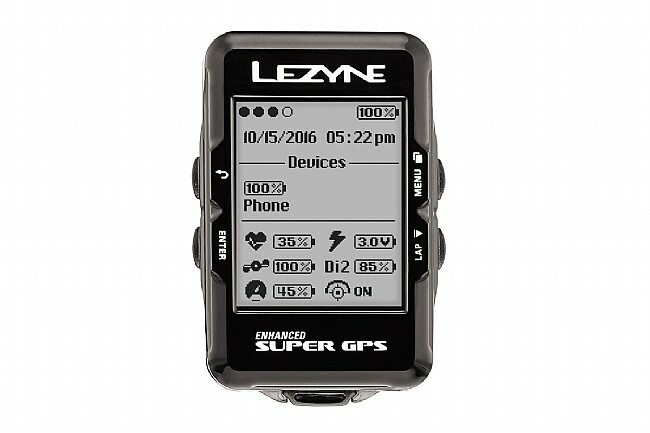 GPS drift becomes a thing of the past with Lezyne’s Super GPS computer. 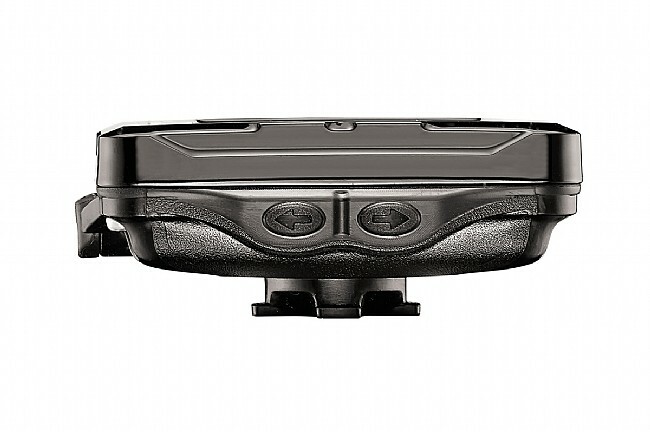 To tie it all together, Bluetooth and ANT+ connectivity means that most heart rate monitors, power meters and other training peripherals will connect to this computer effortlessly. The large easy to read screen is fully customizable with 19 different data fields. From basic metrics like speed, time or distance; to turn-by-turn navigation, Strava Live Segments and more.